If you’re currently paying astronomical credit card finance charges, which is pretty much a given if you’re carrying a credit card balance without a promotional introductory rate, you may want to consider a balance transfer. Most credit card balance transfers come with 0% APR for a certain period of time, whether it be as short as six months or as long as 21 months. Even if you don’t have an existing balance, a 0% APR credit card can be helpful for an individual looking to expand their purchasing power. After all, you can spend now, and pay much later, without incurring any finance charges. Of course, you don’t want to go around opening 0% APR credit card after 0% APR credit card – if you do that, your credit score will sink in a hurry, and it won’t be long before approvals turn to denials. For the record, that practice is known in the industry as credit card churning, and while it can be rewarding, it carries many risks as well. All said, picking a 0% APR credit card based on the length of the 0% promotional credit card APR is very important, especially if you’ve got a sizable credit card balance that is going to take some time to pay down. Or a looming large purchase you’ll want to pay back slowly without being subject to interest. Put simply, why go with a credit card that only offers 0% APR for 12 months when you can get a credit card that offers 0% APR for 21 months or longer? If you continued to carry a $2,500 credit card balance, you’d be hit with roughly $44 in interest charges each month, which is more than $500 annually. Why subject yourself to such fees? That additional interest will also make it more difficult to pay off your credit card debt in full, effectively sucking you down the debt spiral as more interest gets added to existing balances each month. If you transferred the debt to a 0% APR credit card instead, you’d avoid interest for however long the promotional period lasts, which could be nearly two years these days, thanks to credit card issuers raising the stakes to snag your business! Warning: Some balance transfer credit card issuers waive the balance transfer fee, but tack on an APR well above 0%, such as 8-9%. This could wind up costing you more than a 0% APR card with a fee. So do the math before you apply. Great list! Good to see a lot of long 0% cards still exist. Thanks for this list. I need to carry some 0% APR debt for awhile so this is perfect. I think Citi now offers from cards with 0% APR for 21 months. You’re right, I’ll update the post, thanks! Nothing from American Express on here? I will add…they didn’t have much in the long 0% APR category up until recently. Are there any 0% APR 24-month offers right now? Thx. Not that I’m aware of…as far as I know 21 months is the longest 0% APR currently offered by any U.S. credit card issuer. Previous Previous post: What Is Credit Card APR? 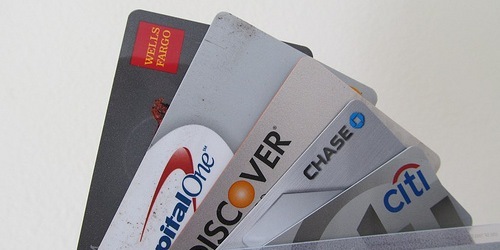 Next Next post: Are Credit Cards Bad for Your Credit Score?